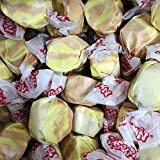 If your sweet-tooth also loves tasty chicken and waffles on the the side, then unwrap a few pieces of this cool new Chicken and Waffles Salt Water Taffy from Taffy Town. 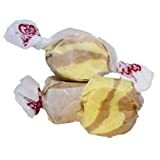 This huge 5 pound sack of salt water taffy is crazily flavored like chicken and waffles and contains 400 - 500 pieces, all of which are made in the USA. 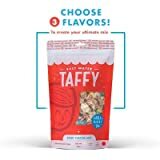 Now where are the rest of the strange dinner / breakfast combo flavors like steak and eggs taffy or pancakes and sausage taffy?